One of the most respected and sought-after guitarists in the Austin, Texas music scene, Jeff Plankenhorn tours Montana for the first time celebrating the release of his third album, 'Sleeping Dogs'. Featuring guest performances from Ray Wylie Hubbard and Patty Griffin, as well as co-writes with Ray, Miles Zuniga (Fastball) and co-producer "Scrappy" Jud Newcomb, 'Sleeping Dogs' is set to raise Jeff's profile as a singer-songwriter from Texas to the national scene. 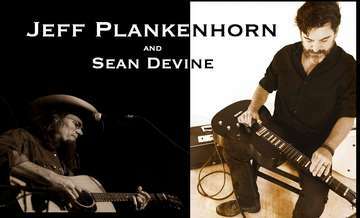 Don't miss your chance to catch him live in Montana, with Treasure State troubadour Sean Devine!